Christine focuses her practice on representing large public companies, health systems, nonprofit research institutions, privately-held companies and start-up companies in the structuring, drafting, and negotiation of technology development, transfer and licensing agreements in the health information technology (IT), digital health and life sciences industries. 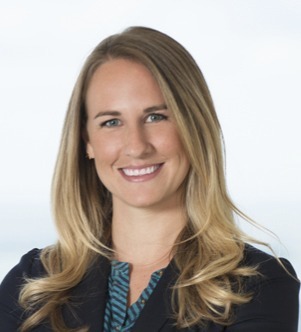 Her transactional experience includes advising clients with respect to life sciences licensing, collaborations and strategic alliances, manufacturing and supply agreements, software development, hosting, maintenance and service arrangements including cloud-computing transactions, outsourcing and other complex commercial transactions involving intellectual property assets. In addition, Christine’s practice includes general transactional and regulatory health law matters affecting hospitals, health systems and other clients, providing counsel regarding compliance with federal and state health care laws in the context of change-of-ownership transactions, and advising both health, technology and life science clients on privacy and data security matters related to the Health Insurance Portability and Accountability Act (HIPAA). Previously, Christine worked in-house at a Cambridge-based pharmaceutical company where she assisted with the preparation of research collaboration and commercial agreements, as well as performed research on general compliance and regulatory issues. While in law school, Christine interned with the Health Care Division of the Massachusetts Office of the Attorney General.